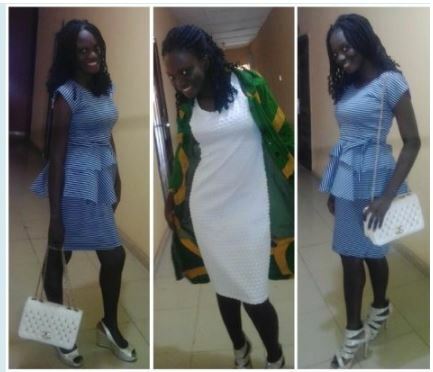 A 16-year old 100-level student of Microbiology at the Obafemi Awolowo University, OAU, Ile-Ife – Osun State – Mercy Afolaranmi, has killed herself. A young fresher at the prestigious Obafemi Awolowo University has taken her own life due a discouraging grade she recorded in a core course. 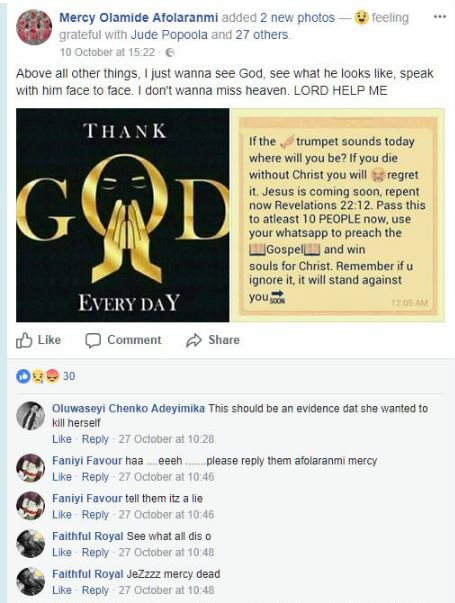 Miss Afolaranmi took ‘Sniper’ days after she wrote on her Facebook page that she wanted to see God’s face and speak with him face to face. Obafemi Awolowo University’s Chief Security Officer, Babatunde Oyatokun, said, “We got a call that one of our students took poison. We got to hospital to realise that she mixed rat poison. She gave us the contact of her parents but before they arrived, she already gave up due to the effect of the poison she took,” he said.